Mr. Potato Head Star Wars Storm Trooper Just $18.97! You are here: Home / Great Deals / Amazon Deals / Mr. 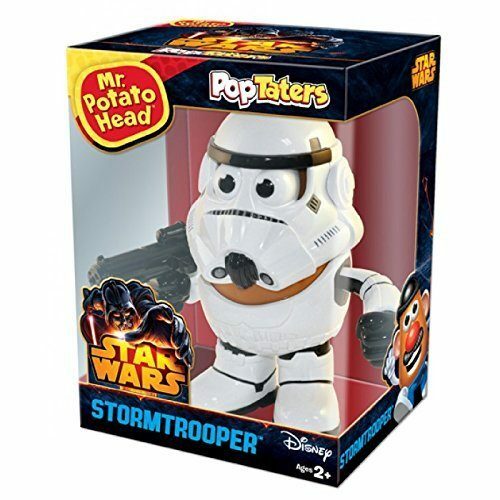 Potato Head Star Wars Storm Trooper Just $18.97! This could be the most irresistible combination in the universe! Head over to Amazon to order a Mr. Potato Head Star Wars Storm Trooper Action Figure for Just $18.97! Shipping is FREE on orders of $35+ or if you are a Prime member! Mr. Potato Head dons the armor of one of the Galactic Empire’s main military ground force soldiers, a Stormtrooper. This detailed collectible toy stands 6″ tall, the perfect size to play or proudly display. Components include the classic Stormtrooper armor, mask and blaster.